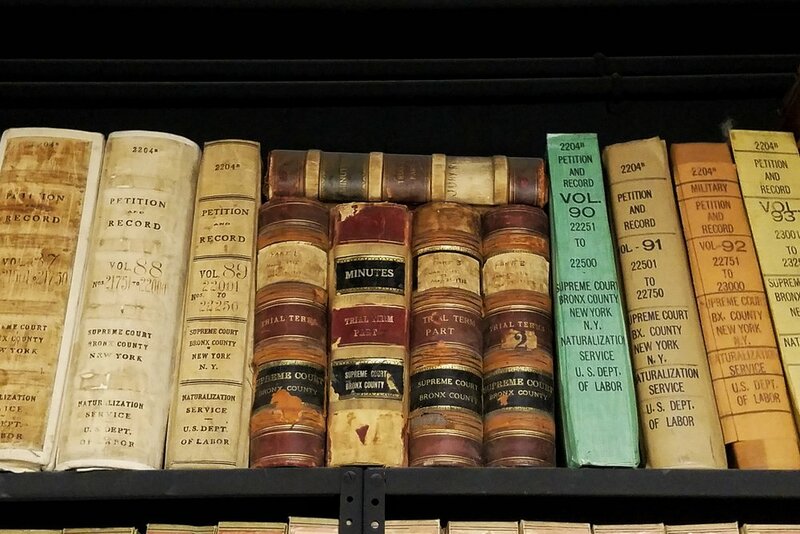 By far, my most popular blog posts are my reviews of the New York City Register Offices, where researchers can find New York City land records. It makes sense: visiting a new repository can be intimidating. Going off of that theme, I wanted to give researchers a primer on another important New York City repository: the Bronx County Courthouse. The Bronx County Courthouse is located at 851 Grand Concourse. The building is also called the Mario Merola Building. It is home to the county’s Surrogate’s Court (probate), Supreme Court (civil cases—we’ll expand on that in a minute), the County Clerk’s Office, and additional government agencies. 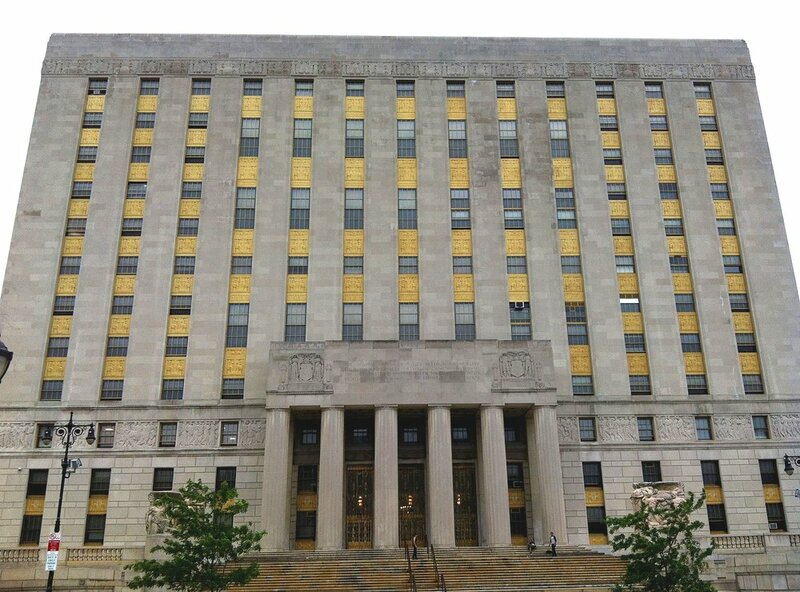 There are other courthouses in the Bronx: the Family/Criminal Courthouse at 215 East 161st Street and the Housing Courthouse at 1118 Grand Concourse. This isn’t either of those. The Bronx County Courthouse is also not the same as the Bronx Hall of Justice (entrance pictured at right). The Bronx Hall of Justice is located nearby at 265 East 161st Street. It’s easy to confuse the two, so here is a handy way to remember: for the most part, the Bronx Hall of Justice is home to criminal matters, including the Bronx Supreme Court, Criminal Court, and the Department of Probation. The Bronx County Courthouse handles (for the most part) civil matters (entrance pictured at right). The Bronx Hall of Justice also opened in 2007, so it looks completely different from the Bronx County Courthouse. For pictures, descriptions, and addresses of all of the courthouses in the Bronx, visit the New York City DCAS (Department of Citywide Administrative Services). The Bronx County Courthouse is easily accessible by subway (B, D, 6 trains). Confirm schedules using a trip planner or Google Maps, set to the date and time you plan to visit. If you exit the subway and you’re trying to figure out what direction to walk in, remember that the courthouse is uphill from the subway. If you’re doing research into fairly recent records, you’ll probably stay on the first floor. That’s where you’ll find the County Clerk’s Office. 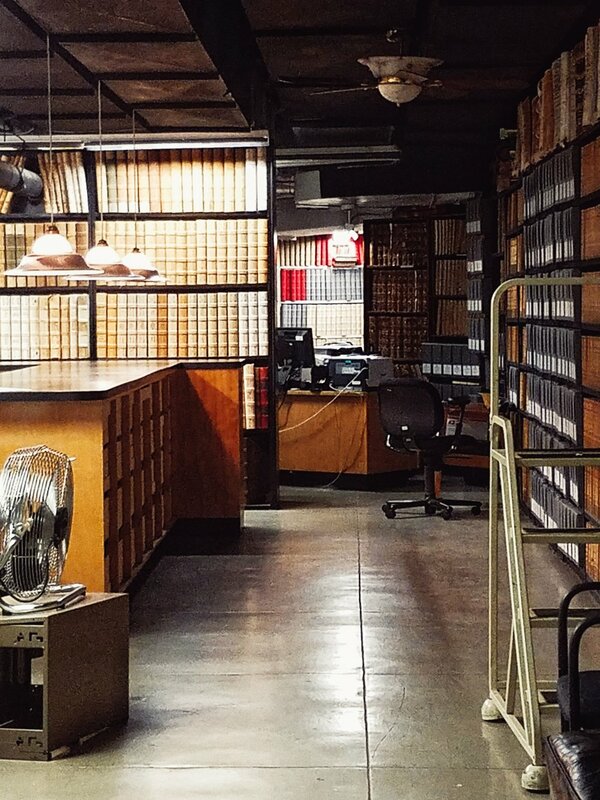 If you’re doing genealogy research in older records, you’ll need to visit Archives & Records Management upstairs. The records room (Archives and Records Management) is in Room 7M. Once you arrive and go through security, take the elevators up to the eighth floor. You heard me. On the 8th floor, make a right and go all the way down the hall. There is a clearly marked door to the stairwell on your right. Go through it and walk down half a flight of stairs. There, you’ll find an open door: Room 7M. “M” stands for “Mezzanine,” because Room 7M is between the 7th and 8th floors. Makes sense, just a little confusing to get to. Congratulations, you’ve found the archives! Remember: New York State divorce records are sealed for 100 years. You can try to petition the court to have your ancestors’ record(s) unsealed, but such requests are virtually always rejected, even if all of the parties are deceased. I know, I know. But hey, don’t despair! The index of Bronx County divorces and civil case records from 1914-1995 is available on Ancestry. So at least you can find out how many years you need to wait for great-grandpa’s divorce from his second wife to open up. If you’re looking for the record of your own divorce, that’s going to be upstairs on the main floor where you came in. Room 7M only holds old records. This is not one of those repositories where you go off in the stacks and pull whatever you’re looking for. Maybe because some of the records are restricted (e.g., divorces), tell the staff what you’re looking for and they’ll pull it for you. There are great indexes to naturalization and divorce records available online. Bring that information along to expedite your search. Some of the records are in volumes, while others are digitized or on microfiche. Copies are 25 cents per page. I hope this article has given you the know-how to visit the Bronx County Courthouse yourself. Happy Hunting!